The trade unionist hoping to replace Kezia Dugdale as Scottish Labour leader today enjoyed a major boost when he won an endorsement from the TSSA. 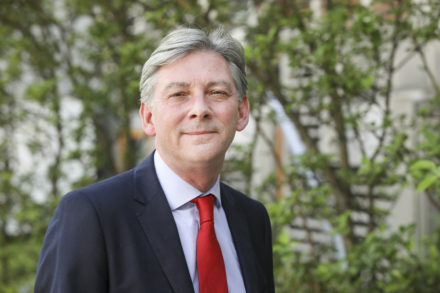 Richard Leonard has received the rail union’s backing two years after it came out for Jeremy Corbyn in the race for leadership of the Britain-wide party. The TSSA, which has remained a strong backer of Corbyn since then, today backed Leonard after a meeting of its executive committee. Leonard, who was a GMB organiser for 20 years and only entered the Holyrood parliament last year, is taking on Anas Sarwar. He was raised in England and studied at an independent school in York. He has lived in Scotland for decades and recently said nobody should criticised for their place of birth or where they went to school. “The TSSA’s executive committee has met today and has voted to throw its weight behind Richard Leonard as its preferred candidate in the forthcoming election for Scottish Labour leader”, the union said this evening in a statement.